March | 2013 | "A Stitch in Time"
For all of our Easter resources please refer to the blog entry titled “Easter Resources“. Has it really been SEVEN WEEKS since Ken’s folks left for their vacation in Mexico??? Yup, yup it has! Our time of solo family living has come to a close for the next 5 months (or when we get our own special place… timeline flexible). 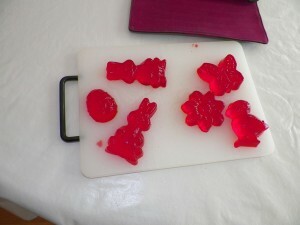 We did not tell the kids the exact date of their return… a combination of grandparent surprise AND the interesting experiences we have had lately with delayed flights! 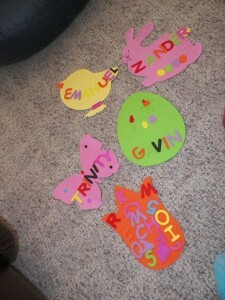 But first, before all of that – TUESDAY and our Easter focus education, crafting and general FUN! 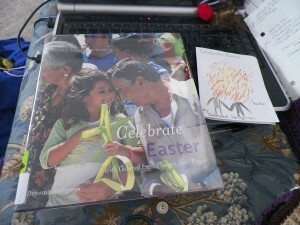 We had our book of the day – Easter by Let’s See Libraries: Holidays. 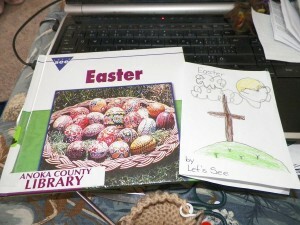 Our last two books are all rather technical about Easter which is nice after all the stories we enjoyed previously. 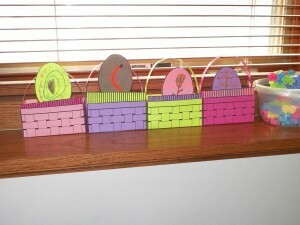 We made TWO different baskets today… the first from our beloved Art for Kids site… through The Homeschool Classroom site. The other a wonderful simple woven paper envelope type basket from Education.com. As usual, links will be on the resource page or contact me personally! 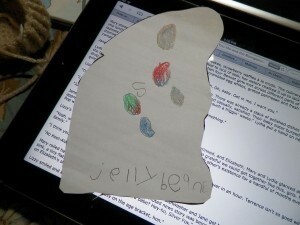 We had to do the Jellybean prayer and poem… where each colour of bean represents part of the Easter story. Of course we didn’t have the right colours in our beans but we enjoyed them anyway. AND Trinity was able to draw some, count them AND copy the word JELLYBEAN for our lapbook… yes yes proud Mommy speaking!!! We ended our night, after a family trip to Target (actually not too horrible!!) 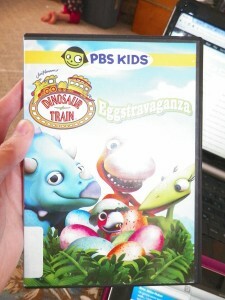 with an egg themed Dinosaur Train. Oh and popcorn! 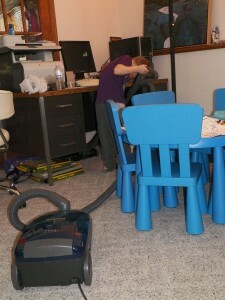 Wednesday marked the end of our solo living of course… though the kids didn’t know that! I even managed to deflect suspicion when we had our in between flight call while I was already multi tasking two things. We had a dental appointment to alert them to (yup the reminder came mere weeks AFTER they left), an engagement (one of Ken’s friends here in Minnesota) and of course letting them in on a little bit of the getting Ted and Sean home debacle now over a month old (how has the time gone by???). We made name plates out of foam with foam letters for each of the kids… there was some definite creative use of our letters going on!! We had a new Wild Kratts to enjoy — focusing on the Rhinoceros! 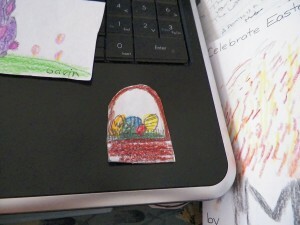 Art for Kids has not been slow on the adding of Easter themed items… first the Easter Bunny and then a Basket with Eggs! 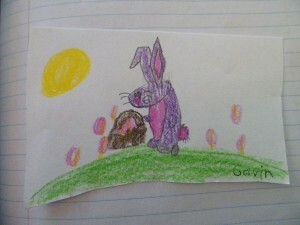 Gavin drew BOTH for us. Perfect to add to our lapbook folder. 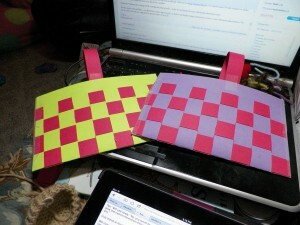 Assembly to follow… soon… I hope!!! We had our book of the day – Celebrate Easter by Deborah Heiligman, though the cover on our book was different than that link. So all nice and organized… and ready for THE RETURN!! the intelligent dinosaur! In fact, it is believed this large brained (with imprints of the brain left on the fossilized skulls) dinosaur was the smartest ever with evidence of the brain beginning to fold (the more folds the more advanced). One of our videos even considered that had the dinosaurs not been wiped out this Cretaceous era carnivore could have evolved to the level of human intelligence. As is, they believe that the Troodon could have been as intelligent as the modern bird. A huge difference from the other small brained, large headed dinosaurs of lesser intelligence. I found this dinosaur by looking through the list of the I’m a Dinosaur videos on youTube so of course I will post it here! And now for the links of interest. 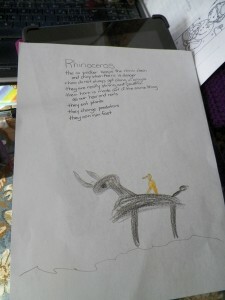 There are TWO National Geographic ones, the main page HERE and the Kid’s HERE. Jurassic Park Wiki has a rather spooky picture and some information HERE. EnchantedLearning has a helpful fact sheet HERE. 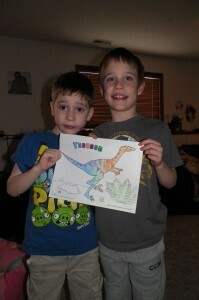 For 10 facts of interest on the Troodon check out Dinosaurs.about.com HERE. 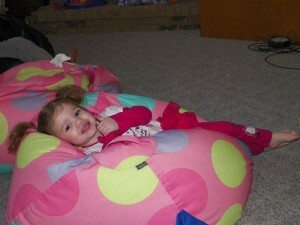 Test your knowledge with a question on Kidsdigdinos.com HERE. Charts and maps on Kidsdinos.com HERE. Of course Wiki has their article HERE, and you can find our colouring page on Education.com HERE. 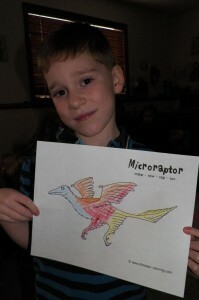 Time for our 4th Chinese dinosaur… the Microraptor. This carnivore was rather unique with its 4 winged limbs and its claws made especially for climbing. Not only was this dinosaur at home in the trees but it FLEW! With its full out feathers many have questioned if it is the link to birds! An early Cretaceous period dinosaur it was a predator in the air but in great danger on the ground. 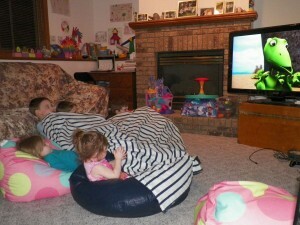 Our video is from the series Planet Dinosaur. Of course there are some links to share. Emanuel was rather enamored with the feathered back legs… there is a great image of that HERE. Dinosaurs.about.com shared their knowledge HERE. Dinosaur Facts has… well facts about our dinosaur HERE. The Natural History Museum has some points of interest HERE. National Geographic has an interesting 3D model on their site as well as an article HERE. Wiki has their informative article HERE. Discover – the Magazine of Science, Technology and the Future has a rather in depth article HERE. This article covers the colour and sheen of the feathers… we did not cover this as it was over Emanuel’s head but the bit I skimmed seemed very interesting! You can find our colouring page HERE.